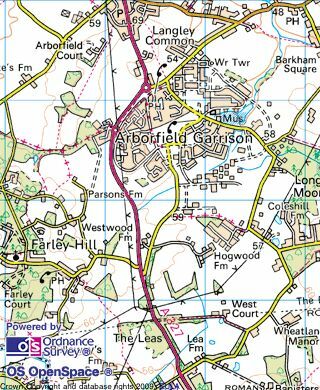 The Arborfield Medical Centre has become a topic of conversation again, so for those new to the area, a recap of the whole story is probably worthwhile. 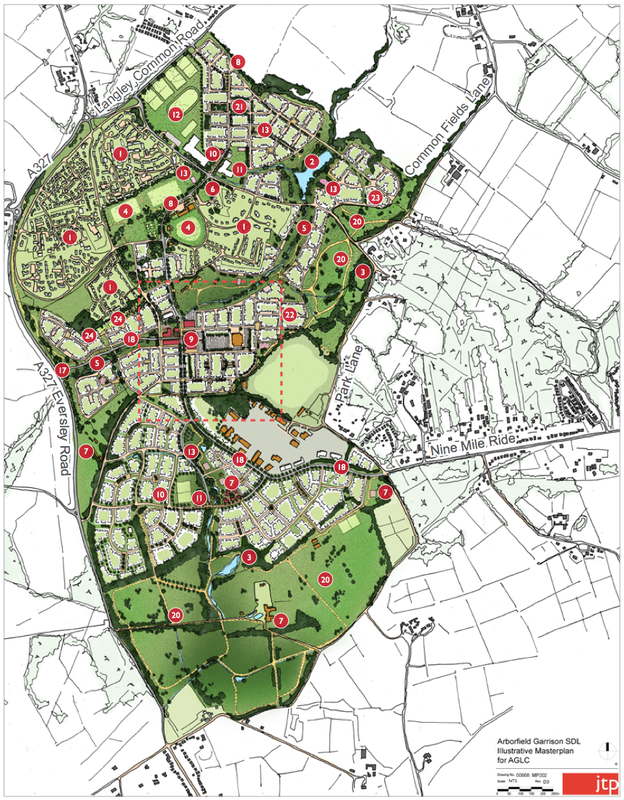 The whole Arborfield Medical Centre saga goes right back to the planning stages for the currently building strategic development locations. 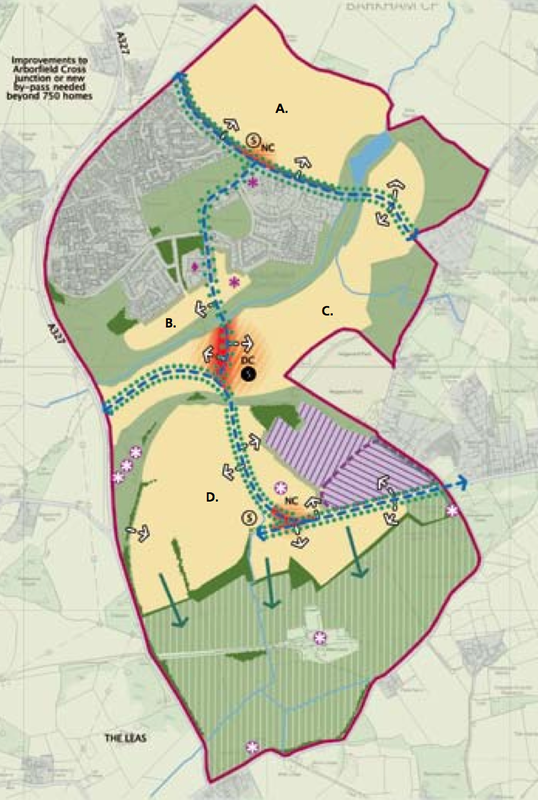 As with what is now Bohunt Secondary School for school places, in the initial stages it was worked out that with the building of over 13,000 houses in the borough it was thought probable that a new medical practice would be needed, and that as the largest of the SDLs it made sense for that to be put at Arborfield, and the then Berkshire West Primary Care Trust in principle agreed. Roll on to 2013 and as the results of the Conservative governments controversial NHS reorganisation were pushed through, Berkshire West Primary Care Trust was abolished and Arborfield came under the newly formed Wokingham Clinical Commissioning Group who had rather different ideas. Essentially our Clinical Commissioning Group, like others across the country was being pushed to introduce efficiency savings, and one effective way to do that is to move towards a smaller number of larger medical centres. 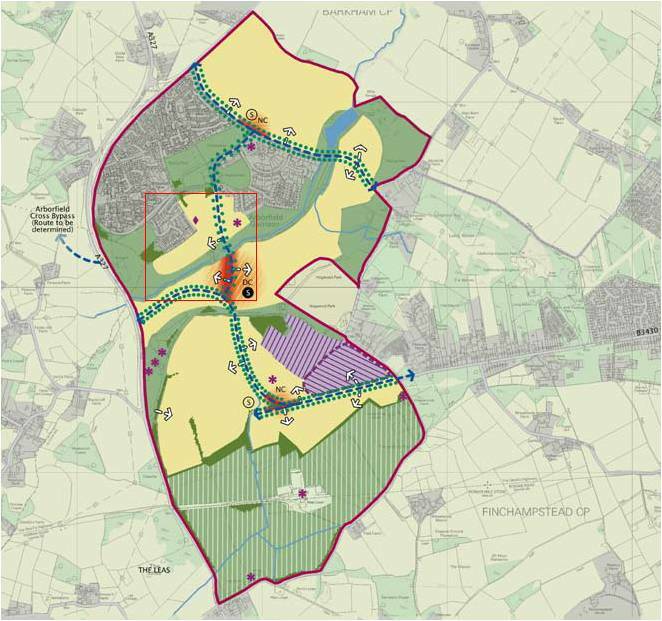 As a result they calculated that by expanding the Wokingham and Woosehill GP practices they could meet the increased demand of the two Wokingham Strategic Development Locations, and meet Arborfield and South of M4 by expanding Shinfield, Swallowfield and Finchampstead GP practices. Anyone who is with Finchampstead Surgery will be well aware of the significant work that has gone on at the surgery over the past couple of years to expand the facilities, and the merger with and closure of the much smaller Cedar House GP surgery that used to be on Nine Mile Ride. Needless to say this went down like the proverbial lead balloon with residents in Arborfield. We were told at a Community Forum, when the representative of the CCG gave us the news and swiftly left without answering questions. Their position was reiterated at the Health Overview and Scrutiny Committee last year which confirmed that the CCG had calculated that there was capacity for an additional 22,900 patients between Shinfield, Swallowfield and Finchampstead, and again at the meeting of the Wokingham CCG Governing Board where it was stated that a new facility at Arborfield Garrison would not be viable. The minutes of both meetings are available using those links. That’s not to say that the developers are ignoring health requirements, indeed if you look at the exhibition boards for the district centre consultation that took place a little while ago, the community zone does explicitly include health facilities. The question of course is what will be there – health facilities could describe a variety of options. The local Clinical Commissioning Group is independent of the borough council, indeed following a four way merger our group now extends way beyond the boundaries of Wokingham. Wokingham Borough can require developers to provide space for health care, but ultimately they can’t force the CCG to provide anything there. So what might happen? 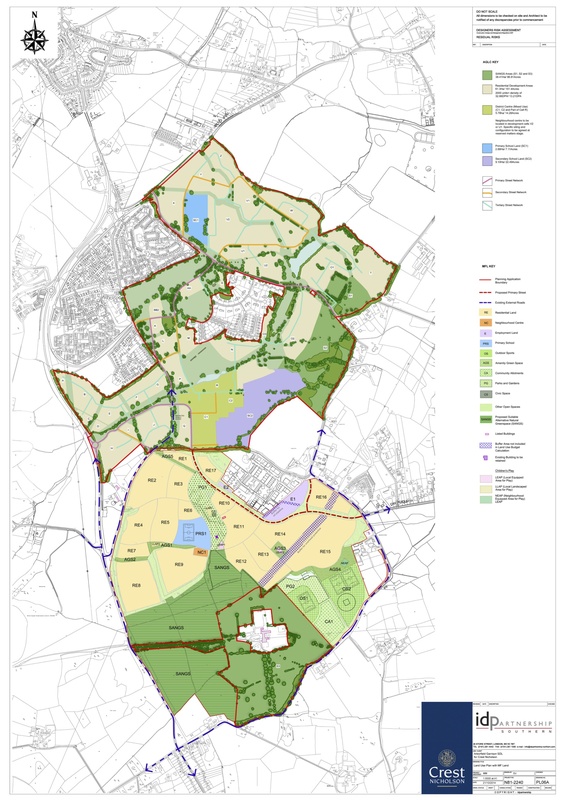 In much the same way as we already have an Arborfield Surgery as a satellite from the Swallowfield practice, there is nothing to stop either Swallowfield or Finchampstead providing a similar facility in the community facilities in the new district centre. This may well be what our candidates are suggesting. The basic facts however are this, whatever the local politicians are saying, whoever they meet with, or write to, all they can do is put pressure on the CCG to think again, they can’t force them to create a new practice here, all they can do is provide space in the plan, and this is what has already happened. The CCG however have been clear and consistent that they see the future of healthcare in our area being based on larger practices able to offer a more comprehensive range of services, and that a new practice here is not viable. Short of somebody finding a magic money tree, or a significant number of extra houses being built locally to push the local practices over the threshold, it seems unlikely the CCG is going to change their decision.